The vast forested grounds surrounding Hatley Castle at Royal Roads University run all the way from Colwood's city centre to Lagoon Road and reach from Esquimalt Lagoon up to Sooke Road. There are dozens of paths and trails that meander through incredible old growth forest, which is home to some of the Capital Region's largest Douglas Fir trees. 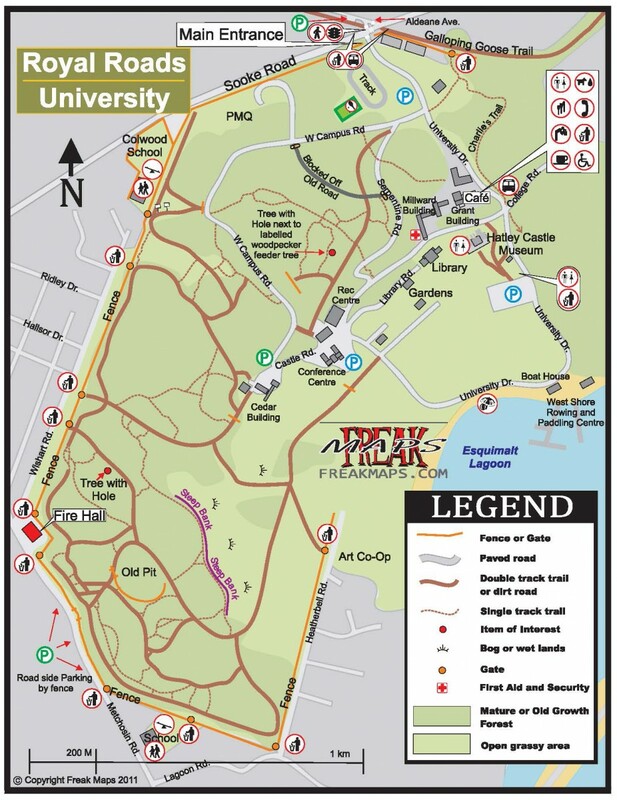 There are many access points through the university grounds, along Wishart Road and on Lagoon Road. The land is owned by the Department of National Defence and a portion of it is leased to Royal Roads University. 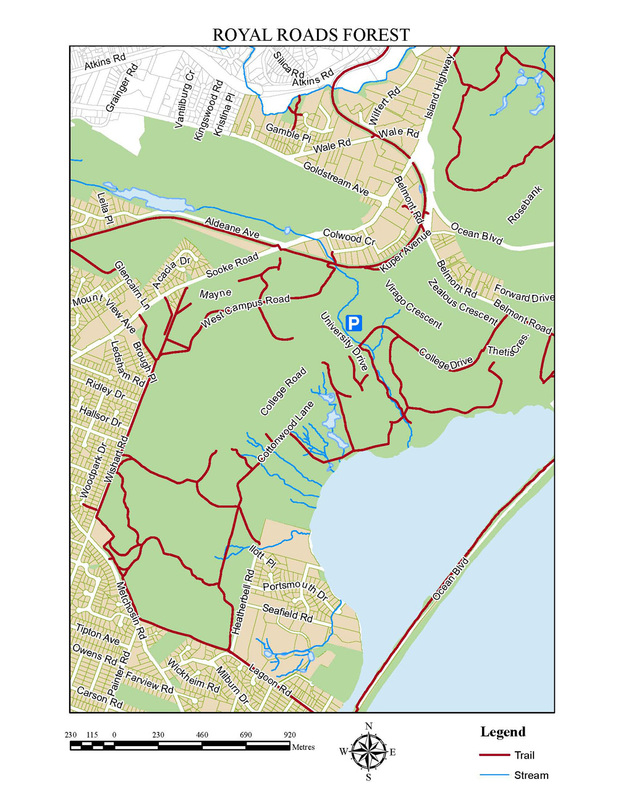 Charlie's Trail is a favourite nature trail that runs alongside Colwood Creek in Royal Roads. Why is it called Charlie's Trail? It was through the generosity of Charlie and Sue Johnson that the trail was revitalized a number of years ago to offer everyone the opportunity to experience native plants, ancient firs and cedars, and wildlife. When Charlie died in 2007, the trail was renamed in his honour. See Charlie's Trail on the map below, near the legend at the top right. Click on the map to view a larger pdf. Many of the forest trails are well groomed gravel trails, smaller trails are natural earth and may have roots and rocks. Dogs must be kept on leash and on designated trails. Access through Royal Roads University, Wishart Road, Metchosin Road or Lagoon Road.